Creating a new way of living underpins our purpose, and depends on strong principles that have been at the heart of Lippo Homes since our foundation over thirty years ago. January 2009The Company formalised its 6 BU: Urban Dev't Large Scale Integrated, Healthcare, Retail Malls, Hospitally & Inrfas, and Propery & Portfolio Mgmt. Empowering people to stay ahead in life, so they can enjoy their lives, flourish and thrive by making the property process simple, efficient, and stress free for people buying property. We embrace teamwork. Focusing on people first and not just selling; in the service of country, communities and all in service of our customers. We are flexible in our approach, accountable and take responsibility for our actions and seeing the job through. We are continuously striving to better serve ourselves, our people, customers and all stakeholders. We focus on challenging the status quo; constantly looking for new ideas and ways to improve our customers' experience. We value trust. We are always doing the right thing for our customers, and all stakeholders. Mr. Chan Chee Meng was appointed as Director of PT Lippo Karawaci Tbk by the resolution of the General meeting of Shareholders on 24 March 2016 for the first term. He also serve as Commissioner of PT Lippo Cikarang Tbk. 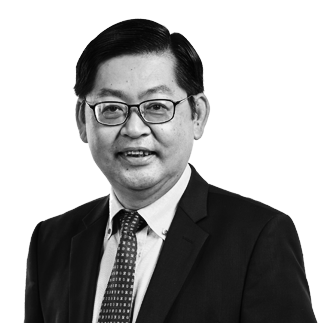 He began his career with Othman Hew&Co (1980-1984) as Senior Auditor and with Azman Wong Salleh & Co (1985-1988) and Finance Manager at Nam Fatt Berhad (1990-1992). Next, He worked with Amanah Capital Partners Berhad (1999-2002) with his last position as Director, Finance & Information Technology Group, and as Director Property Division. He then served as Chief Executive Officer at Kuala Lumpur Central (2002-2008) Executive Director at Guocoland (M) Bhd (2008-2010), Head of Property at Fitters Diversified Bhd (2011-2012) and Executive Director at Tanco Holdings Bhd (2012-2015). 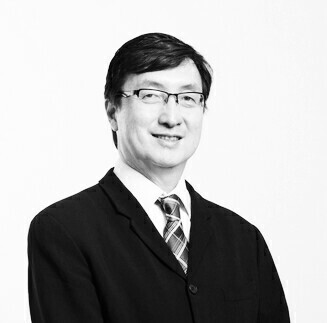 Mr. Jopy Rusli, he joined Lippo Group as Chief Marketing Officer Lippo Homes in 2013. Having 30 years experience as a professional architect, he started his career working as Project Designer with Tritipo & Associates Carlsbad, California, USA (1986-1987), as Project Manager and Designer with Pacific Group Architecture & Planning, San Diego, California, USA (1988-1989), as a Director at PT Califa Pratama (1990-1993), a subsidiary of Gunung Sewu Group & PT Duta Anggada Realty, and as Commissioner at PT Bukit Sentul Tbk (1995-1998). He obtained an MBA degree in Real Estate from National University, San Diego, California, USA and B.Arch from University of Oregon, USA.